Virginians still do not know what rules they will file their state taxes under, even with filing season set to begin Monday, creating urgency in the push toward an at-least temporary resolution in Richmond. WASHINGTON — Virginians still do not know what rules they will file their state taxes under, even with filing season set to begin Monday, creating urgency in the push toward an at-least temporary resolution in Richmond. The General Assembly is locked in a debate over what is typically a straightforward process to conform state tax filing rules with federal policies, since conforming with the federal Republican tax cut bill as it stands would lead to an increase in state tax bills for some people. Republican leaders want additional state tax changes to prevent that, while Democratic Gov. Ralph Northam has proposed directing tax relief toward people who qualify for the earned income tax credit and spending the rest of the estimated $600 million per year on other key priorities. With tax filing season opening Jan. 28, a key Republican lawmaker suggested Tuesday that if a complete deal is not realistic in the next few days, the intense debate could be held for later if there are promises of a compromise. Republican Del. Lee Ware, of Powhatan, said he would support conforming Virginia tax law to match federal policies if any additional money was separated from the rest of the budget until a final plan is set for any tax refunds or changes to rules for who can itemize their deductions. Changes could even be adopted in a special session, the Finance Committee chairman said, since the General Assembly only meets through Feb. 23. “If we fail to timely reconfigure the tax code, I believe we will have failed in a fundamental task that we have before us,” Ware said. House Minority Leader Eileen Filler-Corn, D-Fairfax County, shared the concerns about getting something passed quickly, particularly since federal workers and contractors who have not been paid for weeks may want to file returns immediately if they qualify for refunds in order to get much needed financial help. Without a bill matching state and federal tax filing, Filler-Corn said there could be “chaos” and additional costs to the state to sort through new tax processing rules and any additional auditing requirements. 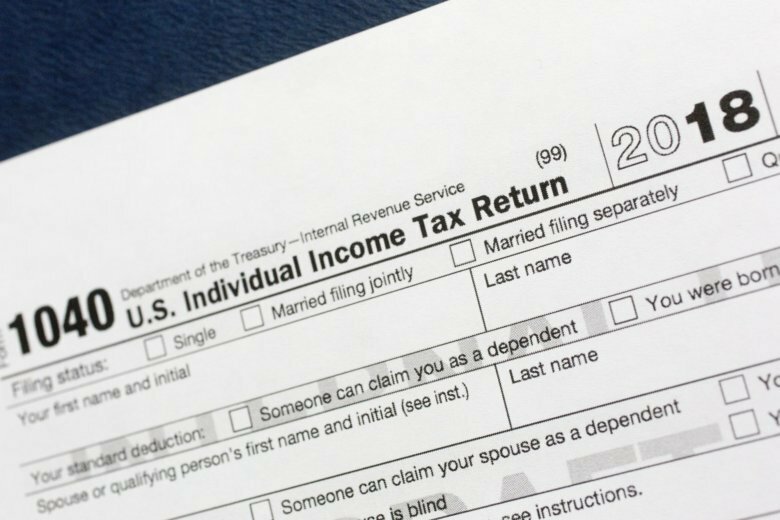 In a typical year, more than 600,000 Virginia tax returns are filed within the first week or so of the filing season. “It is important more than ever now to get this figured out as quickly as possible,” Filler-Corn said as she spoke in favor of matching state and federal laws for this filing season. “Once we do that, I am confident that we can come to an agreement as to how we can address overall tax policy,” she said. Ware expressed similar optimism. “It is my conviction that we can act, but we must act promptly,” Ware said. Senate Finance Committee Chairman Emmett Hanger, R-Augusta County, noted that last year’s tax conformity bill passed the Senate on Jan. 26. “I would say, yes, it is time for us to deal with that, but that I fully expect that to be dealt with in a very timely manner,” he said.